5 of the Best Places to Ride Hot Air Balloons in CT! Have you ever dreamed about being hundreds of feet up in the air, admiring the beautiful landscape of Connecticut? Make that dream a reality when you visit Mystic! 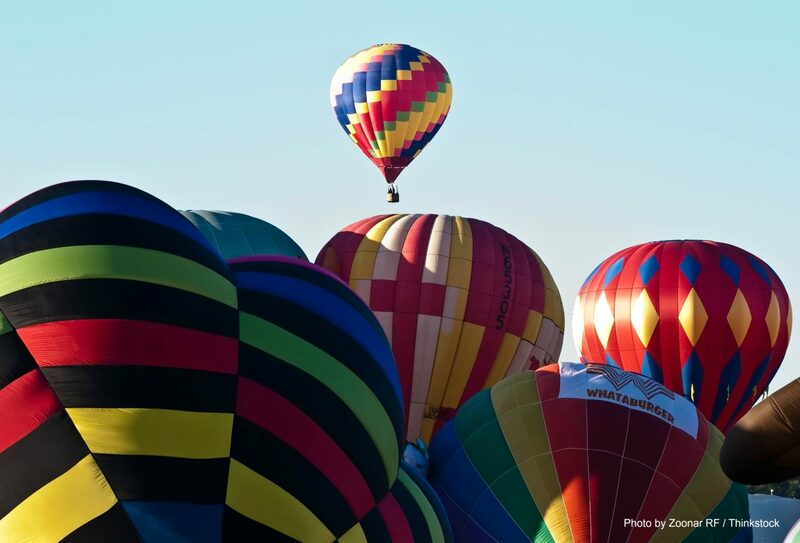 Here, you’ll have access to some of the best hot air balloons in CT. A balloon ride is sure to be one of the most memorable and romantic activities of your vacation. Plus, you don’t need to worry about finding the perfect company! Read on and discover our five favorites. Located just outside of Hartford, Berkshire Balloons is one of the oldest hot air balloon companies in Connecticut. With that comes a wealth of experience you can’t find anywhere else. Over 35 years of balloon-flying means you can trust the crew to keep you safe and show you the beautiful Connecticut countryside. Livingston Balloon Company also offers excellent hot air balloon rides and has been around for 30 years. Take off from Avon, CT, and soar over the Farmington Valley for the trip of a lifetime. Founded in 1975, Sky Endeavors are veterans when it comes to hot air ballooning. Each flight over the beautiful Farmington River Valley includes a traditional champagne toast and a flight certificate for framing. Adventure Balloon owners Frank and Barbara began ballooning in 1989 as a hobby. Today, they operate rides in Plymouth, CT, including sightseeing tours and tethered balloon festival rides. They love when riders fall in love with ballooning because that’s how they fell in love with it! Take flight above the famously beautiful Litchfield Hills for an incredible bird’s-eye view you just can’t get anywhere else. Rides last about one hour and take off at dawn and dusk, when the wind is at its calmest. Aer Blarney Balloons bring years of experience with them, too, so you can trust them to keep you safe! After a whimsical ride through the air, come home to a cozy room at Stonecroft Country Inn! Our stunning accommodations make for the perfect couple’s cocoon and are perfect for your romantic getaway. Enjoy the charm of New England in a warm and peaceful setting. As soon as you see our lovely inn, you will immediately fall in love! Book our Buttery Room! Our most historic room at the inn is both spacious and elegant. Relax in a unique setting with a hot bath in your private bathroom, then lay down in the queen bed and get the best night of sleep you’ve had in months! Wake up the next morning feeling refreshed and enjoy the early morning light on your private patio right outside your door! Before resuming your adventures in Connecticut, join us in the main inn where a delicious, homemade breakfast awaits you! Book your room today at Stonecroft Country Inn! We look forward to hosting you.